Yikes! I just do not look good today. Perhaps I should find a good hiding place until the bad look blows over. If I were to venture outside looking like this, I might cause someone a scare. I don’t get it. Yesterday I looked like a million bucks. I wore a pale yellow -striped sun dress—a great color to offset my tan. Not to mention that the dress fit me just right. It was short, well above the knees, (my legs are my best feature) and flattered my body making me look younger than my years. Wherever I went, people smiled at me. It was that “lookin’ good today” smile you get from others. Generally accompanied by a slight nod, the smile says you caught someone’s eye. These looks of approval are not quite the whistles from the all male construction crews of years ago but then again that attention always unnerved me. This kind of attention tells me that the healthy eating and many hours in the gym have paid off. Today, however, there will be no smiles with nods—not on this bad hair day! Where did it all go wrong between yesterday and today? Today I am wearing another great sundress: good color for my tan, above the knee, no evidence of the dreaded protruding stomach. Yet today, I do not look good! Yesterday, just 24 hours earlier, my hair still needed help with the color and cut. And the wiry grey hairs still mocked my attempt to pretend I’m blond. But yesterday I looked great. I’m sure I did– I “got the looks”, remember? Maybe, a “bad hair day” isn’t about hair at all. Maybe a “bad hair day” isn’t even an external problem. No matter how much time I spend primping the outside to look good, if the inside thing, the SUCCESSTROGEN, isn’t right, then I just don’t like the way I look. Perhaps, I don’t like me today! Certainly there are days when our hair, our skin, or a glimpse of our profile in the mirror, doesn’t please us, but when we are feeling grounded and good about ourselves, we seem okay with our lack of external perfection! We know it isn’t about the hair, protruding stomach or the dress. It is about who we are and how we live the moments of our lives..
A quick review of how I spent my day yesterday reminds me I started the day in the gym with a 50 minute workout. Then, I visited a friend in need of some company, and I was very productive producing another blog and designing a workshop for a new client. Tennis was fun and well played by all. And, I spoke with several of my children. Yesterday was a banner day. I felt good about myself. Yesterday I did a lot of the things on my Top Twenty List that keep my Successtrogen level high and keep me enjoying the moment. Today, I still have time to work the internal stuff and save the day!!!! And you? How is your day going? 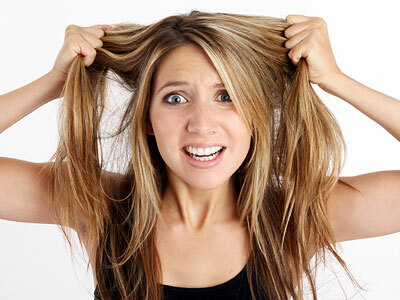 If it is a “bad hair day” for you, there is still time today to turn it around! I have Mexican Petunias in my yard. Tonight they are bare and although I wouldn’t say they are ugly, the word I would use is plain. I feel that way myself often. And just as I know those petunias will be bursting with color in the morning I know that although I am not as structured, I will have a good hair day when I need it most. Thanks Mary Ann for sharing your bad hair day.